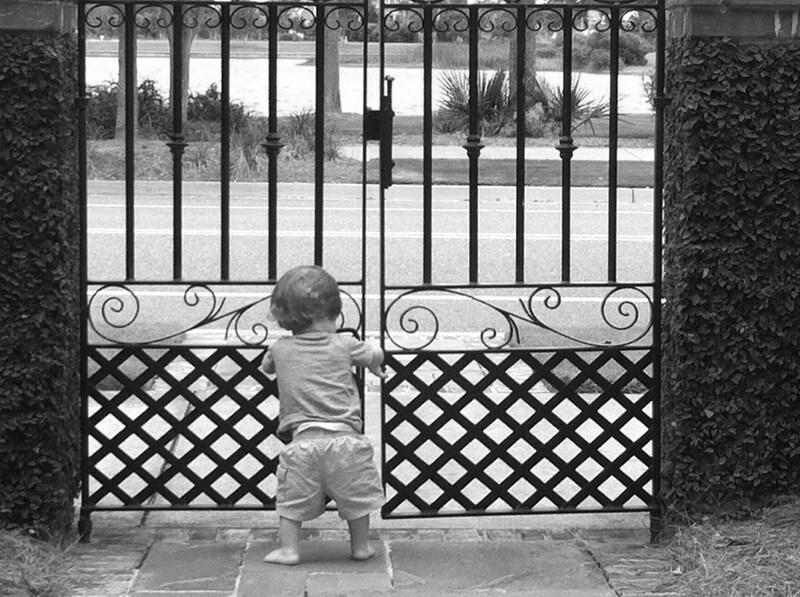 It’s hard for me to describe how excited I am about the upcoming home site release on Daniel Island. Part of me is quite nostalgic because I have so many sweet memories of our family playing and picnicking on the beach below the bluff when the land was undeveloped. We would put on our old shoes and fill an LL Bean bag full of food and bottles of water and head through the brush until we came to an opening. From there it was easy to make our way down to the beach. Someone had tied a rope to a tree that hangs out over the Wando River and the boys would swing back and forth as best as they could. I remember how little Davis was the first time we went out there. I think I had to carry him down and he didn’t like getting sand on his feet! But… what an amazing piece of property! The views are absolutely spectacular and I don’t know of any other property on DI where there is such a nice beach along the river. We loved sitting there, hidden from the world, watching the boats go by. The boys would let the waves lap at their feet but then squeal and run back to the bluff if a boat came by and made the “waves” bigger! I will post some photos later but this is on my mind today. 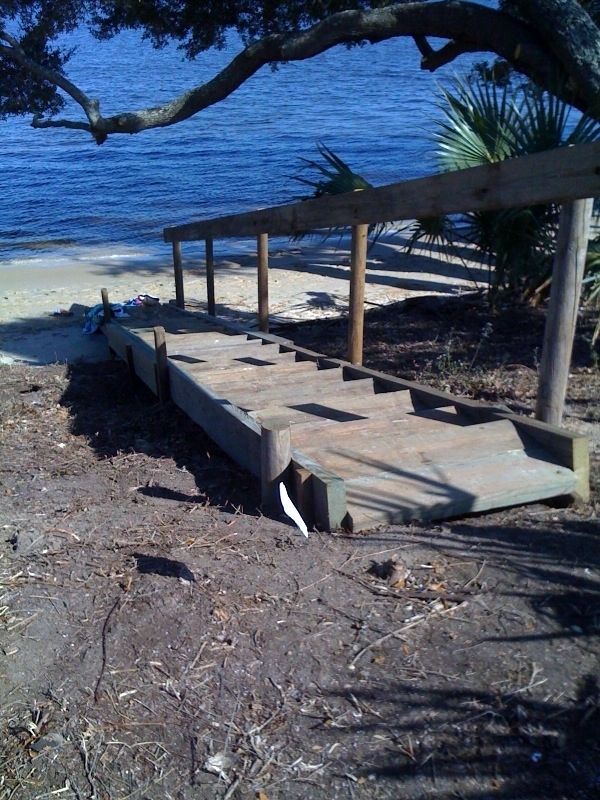 I went out a few days ago and saw that steps have been installed where we used to clamber down from the bluff.